Ladies round neck shetland wool jacket. Dry clean only. Sizes 10-24. 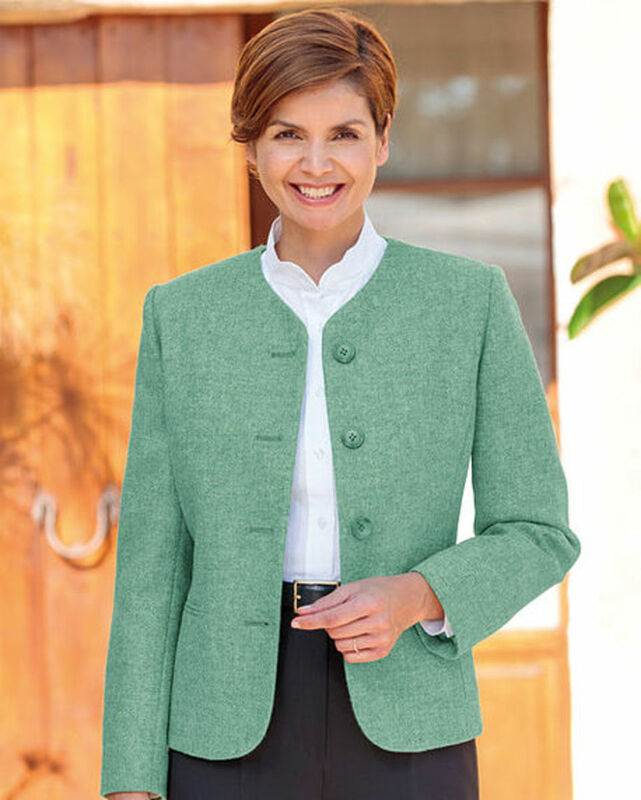 Ladies classic fully lined, round neck style jacket with four button fastening. Shaped panels front and back with jetted pockets.Medium weight pure shetland wool in vibrant apple green shade. Woven in the UK. This jacket will add a touch of elegance to any outfit.